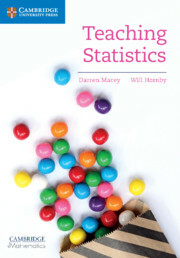 Written by leading subject specialists, Teaching Probability is designed to support teaching concepts in probability by providing a new approach to this difficult subject from a perspective not limited by a syllabus, giving teachers both theoretical and practical knowledge of an innovative way of teaching probability. 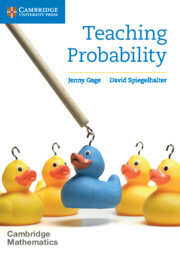 This alternative approach to teaching probability focuses on the methods that teachers can apply to help their students engage with the topic using experiments and mathematical models to solve problems, considering how to overcome common misconceptions and the way in which probability can be communicated. Broken into four parts that identify the approach, activities, assessment questions and extension projects as part of teaching probability. More experimental approach to teaching. Provides lesson materials that can be used/adapted, according to the ability/age or needs of the pupils. Clearly written throughout to give teachers confidence in teaching this complex concept. 5. Which team will win? 6. The dog ate my homework! 21. What does 'random' look like? 22. How should we change our beliefs? 23. How probable is probable? 25. Heads or tails, boy or girl? 26. Your risk is increased! 33. Do you know what you don't know?